Dr. Soo-Eun Chang joins Peter Reitzes to discuss what causes stuttering from a brain imaging and brain research perspective. This is the fifth episode in a series on the cause of stuttering. Dr. Chang discusses what brain research tells us or suggests regarding the structure and function of the brains of people who stutter, deficits in white matter tracts, how stuttering may relate to lysosomal dysfunction, persistency and recovery, how the right and left hemispheres interact and much more. 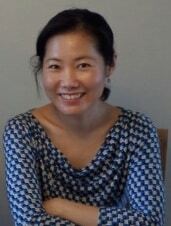 Soo-Eun Chang, Ph.D., CCC-SLP, is the Principal Investigator and Director of the Speech Neurophysiology Lab at the University of Michigan and is an Assistant Professor in the Department of Psychiatry and the Rosa Casco Solano-Lopez Research Professor of Child and Adolescent Psychiatry at the University of Michigan. Soo-Eun is also an Adjunct Professor at the Michigan State University, in the Department of Communicative Sciences and Disorders, and the Department of Psychology. By: stuttertalk Category: What causes stuttering? Tags: brain imaging, Peter Reitzes, Soo-Eun Chang, stammering, stutter, stuttering, what causes stuttering?